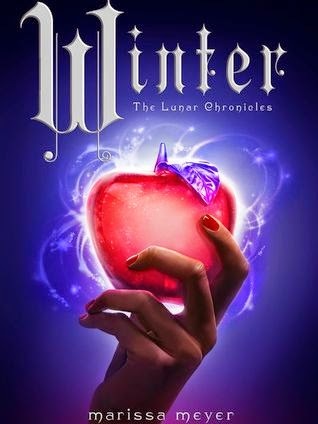 I finished the third book in The Lunar Chronicles, Cress, last weekend and now I'm dying to find out what happens next! I adore all of the characters in this incredible world Meyer has created and I'm always surprised by how easily I get lost into all their different stories. According to goodreads Winter is going to be 800 pages, holy cow! I'll need to clear out that week of November, because let's be honest, it's not like I'll want to do anything else but read Winter! I can't believe this series is going to be over soon, it's one of my favorites and can't wait to find out how it'll end. Also, isn't that cover gorgeous?! I love how the entire series followed a set color scheme and made all the covers so magical. My review of Cinder is here. My review of Scarlet is here. Nice one! I recently read Cinder and LOVED it! Will start with Scarlet soon. Hi Anya! I'm so happy to hear you absolutely loved Cinder! I hope you love Scarlet just as much! I've heard of many great things about this series! I'll definitely have to go check it out! Great pick and thanks for stopping by my blog!! i really need to read this series but i'm waiting until all the books are out so that i can just marathon them without all the agonizing wait. That's a good idea, it's horrible waiting for the next book to come out! I'm so excited and so sad for the final book! I have super high hopes! Thanks for visiting! Me too! I can't believe the series is ending, it's crazy! I love the COVER, it's so stunning<3 Great pick though, I'm glad you liked the series more than me. Isn't it?! I'm so happy they stayed with the cover design throughout the series!